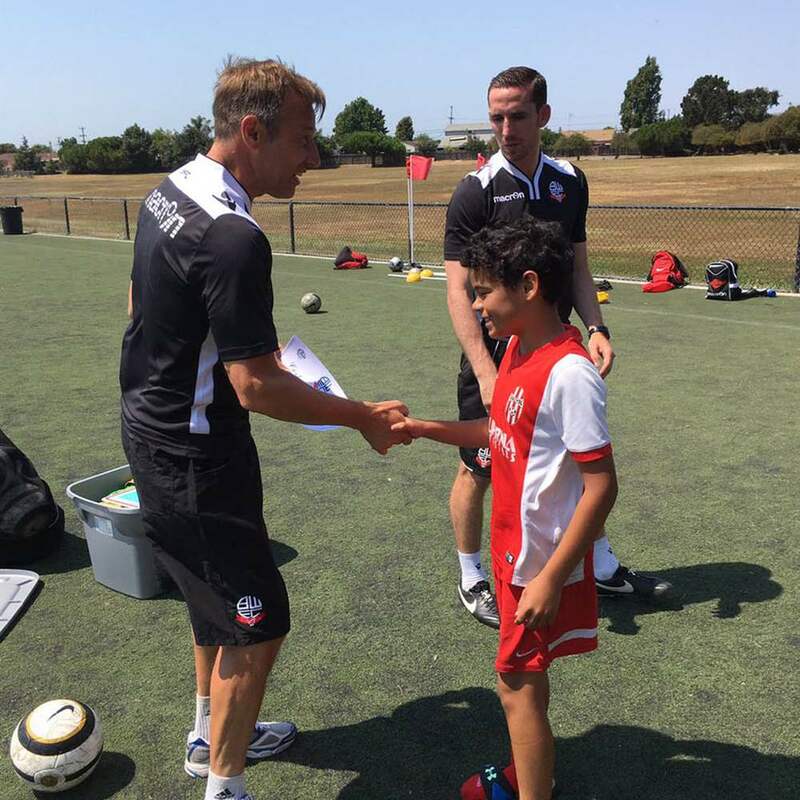 Host BWFC coaches at your club or school overseas. We offer a bespoke training package to suit your needs; available for all ages, abilities and genders, our overseas coaching clinics provide a brilliant insight into the coaching style and philosophy of BWFC. This is your opportunity to experience how football training is conducted at a professional football club and bringing it to your own home town. To ensure progress, coaches will create sessions that will identify areas for improvement to benefit players and teams’ development. Through the delivery of our programme we teach discipline, individual and team work, respect, communication skills, as well as many more key life skills that are important for today’s aspiring footballers. BWFC host an Elite Pro Club Experience annually, whereby players are personally selected and invited to attend the programme at Macron Stadium, home of BWFC, and reside in the club’s on site hotel, Bolton Whites. This is the ultimate experience for any talented player. Coaching sessions are intense and players are expected to play in a number of fixtures against professional academy teams and local friendlies, in addition to daily training sessions. The standard is very high and the selection process and criteria is very competitive. Please note this is an individual invitation and selection process (not a team).